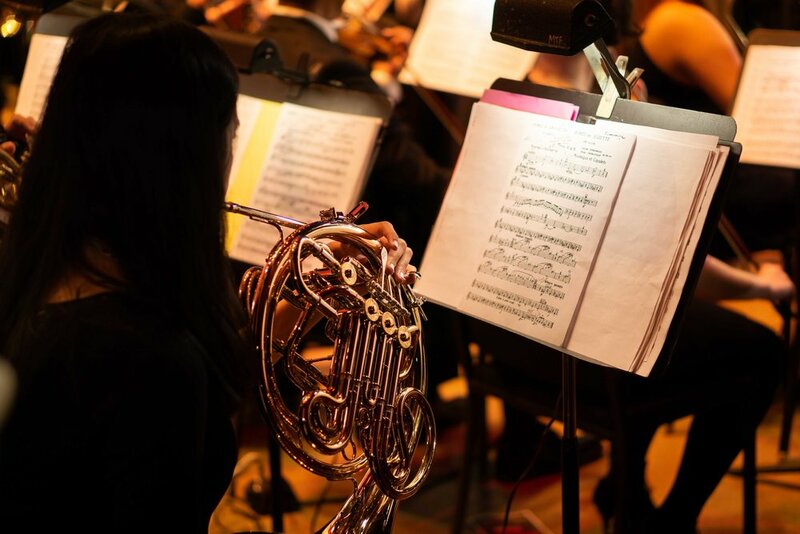 To join the Michigan Pops Orchestra, you will need to sign up for an audition. Auditions are held at the beginning of the fall term and a smaller round of auditions is held at the beginning of the winter term. Check out the audition requirements! Please note that we do not provide instruments on a rental basis for our members. Each individual member is responsible for providing their own instrument throughout the concert season. Dates for the winter term auditions will be held on Sunday, January 13, 2019 from 1:30-5:30pm. Sign up for a winter audition time using this link. See you then! If you are still interested in getting involved, playing music, or meeting some pops peeps, contact our Small Ensembles director Lydia Peters (lydiafp@umich.edu). Small Ensembles is a great way to get playing with a group of people! Don’t have music? We may have something for you, so do not hesitate to get in touch with us! Two excerpts of contrasting styles and tempo (up to 2 minutes each). New Members: One scale of your choice. Returning Members: A scale of your choice & chromatic. Instruments that can audition: flute, piccolo, oboe, english horn, clarinet, bass clarinet, bassoon, french horn, trumpet, trombone, tuba, percussion, harp, piano, violin, viola, cello, bass. Percussion: Percussionists wishing to audition should prepare one short excerpt for each of the following: snare, cymbals, mallets, and timpani. Pops is a community of musicians with diverse interests, all connected by our love of playing music. Be a part of the most fun concerts on campus! Check out past concerts in the archives section. Participate in publicity and outreach events around campus and the Ann Arbor community. There are opportunities to join a small ensemble. Feel the Pops Love, we're one big family! Orchestra members participate in Conduct Us! An event where passersby can grab the baton and direct a song or two.